Jeanette Forbes, CEO of the PCL Group, has been recognised as the country’s best female mentor in the national Mentorsme Excellence in Woman’s Enterprise Mentoring 2014 Awards. 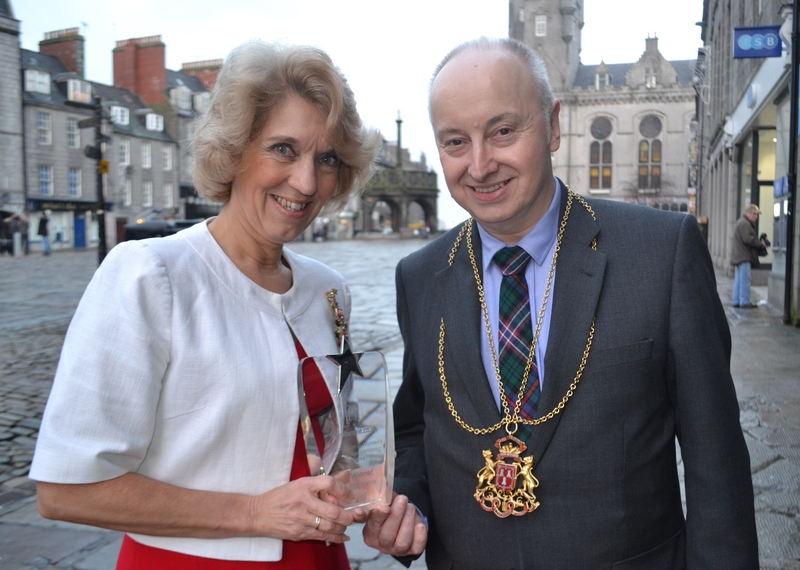 Jeanette picked up the Best Mentor Award for her work with the Scottish Chambers of Commerce Business Mentoring Partnership at a gala ceremony in London which recognised the contribution of more than 100 female entrepreneurs across the UK who are involved in mentoring programmes. PCL Group provides a full range of IT, telecoms and computer services to the offshore, marine, commercial and industrial sectors and Jeanette has been at the forefront of promoting and encouraging opportunities for women in the energy sector for a number of years. She has been a member of the Chamber’s business mentoring partnership for several years, providing one-to-one mentoring for women across a number of business sectors. Jeanette, who was nominated for the award by one of the women she mentors, said she was delighted to receive the award. Aberdeen’s Lord Provost George Adam said Jeanette was a fantastic role model for young women considering a career not just in the oil and gas sector but across all business areas. “Jeanette is a great ambassador for the city and for the contribution which the energy sector makes to our economy. I’m delighted that she is being recognised for the work which she does on a voluntary basis to support and help other businesswomen in their careers,” he said. The mentoring partnership is led by the Scottish Chambers of Commerce network and is supported and partly funded by Highlands and Islands Enterprise, Scottish Enterprise and European funding.